Green beans (as well as yellow wax beans) may be pickled, canned, frozen and dehydrated with excellent results. Here are our favorite recipes and techniques for preserving green beans. Blanching and freezing green beans is one of the best ways to preserve them. Frozen green beans have more nutrients than pressure canned beans. Giving the green beans a quick blanching in boiling water before freezing them ensures that they will retain great texture and color when you get around to cooking with them. An initial single layer freeze keeps the frozen beans from clumping together in the freezer so that you can take out only what you need. 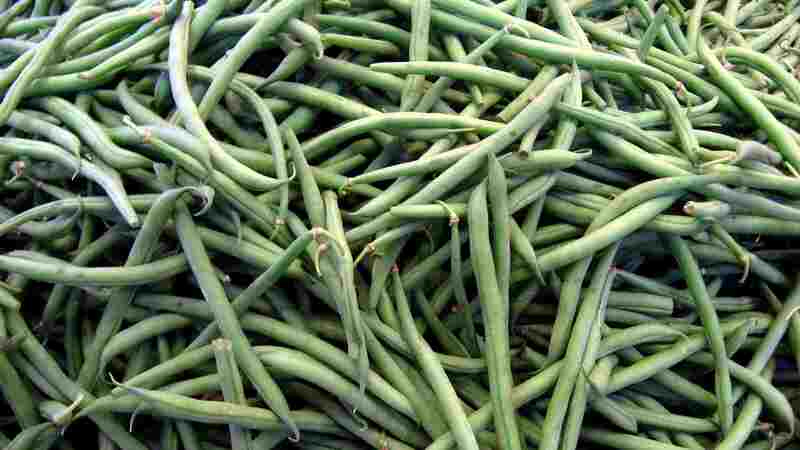 Dilly beans are the classic recipe for pickling green beans. They are terrific to eat straight out of the jar and are also great chopped and added to other salad ingredients. You can use dill flower heads if you have them, or sprigs of fresh dill leaves. For a colorful variation, use a mix of green beans and yellow wax beans. Air drying green beans is a way of preserving them that dates back to pioneer times. It was especially popular in the southern United States where they were nicknamed "leather britches." It's still a technique worth trying because once dried they keep indefinitely, and the flavor of the rehydrated, cooked beans is quite good. Intended to be the stir stick in a bloody mary instead of, or in addition to, celery, these piquant beans are also quite tasty on their own. You can adjust the degree of spiciness for this Bloody Mary pickle recipe. These delicious Lacto-fermented green beans are rich in healthy probiotics. You don't need any fancy equipment, just clean jars, green beans, water, and salt. They are ready to eat within a week. These tasty quick green bean refrigerator pickles are ready to eat within 24 hours. They look especially attractive if you make them with a mix of green beans and yellow wax beans. These easy pickled green beans are "refrigerator pickles." They are not heat-processed and thus must be stored in the refrigerator to keep from spoiling. A flavorful, snappy pickle, they are great in salads, alongside meaty fare like braised pork.